itional authorities and 110 administrative wards. Local government is administered by central government-appointed regional administrators and district commissioners. For the first time in the multi-party era, local elections took place on 21 November 2000, with the UDF party winning 70% of the available seats. There was scheduled to be a second round of constitutionally mandated local elections in May 2005, but these were cancelled by the government. In February 2005, President Mutharika split with the United Democratic Front and began his own party, the Democratic Progressive Party, which has attracted reform-minded officials from other parties and won elections across the country in 2006. In 2008, President Mutharika had implemented reforms to address the country's major corruption problem, with at least five senior UDF party members facing criminal charges. In 2012, Malawi was ranked 7th of all countries in sub-Saharan Africa in the Ibrahim Index of African Governance, an index that measures several variables to provide a comprehensive view of the governance of African countries. Although the country's governance score was higher than the continental average, it was lower than the regional average for southern Africa. Its highest scores were for safety and rule of law, and its lowest scores were for sustainable economic opportunity, with a ranking of 47th on the continent for educational opportunities. Malawi's governance score had improved between 2000 and 2011. Malawi will hold its next general election in May 2014. Former President Hastings Banda established a pro-Western foreign policy that continued into early 2011. It included good diplomatic relationships with many Western countries. The transition from a one-party state to a multi-party democracy strengthened Malawian ties with the United States. Significant numbers of students from Malawi travel to the US for schooling, and the US has active branches of the Peace Corps, the Centers for Disease Control and Prevention, the Department of Health and Human Services and the Agency for International Development in Malawi. Malawi maintained close relations with South Africa throughout the Apartheid era, which strained Malawi's relationships with other African countries. Following the collapse of apartheid in 1994, diplomatic relationships were made and maintained into 2011 between Malawi and all other African countries. In 2010, however, Malawi's relationship with Mozambique became strained, partially due to disputes over the use of the Zambezi River and an inter-country electrical grid. In 2007, Malawi established diplomatic ties with China, and Chinese investment in the country has continued to increase since then, despite concerns regarding treatment of workers by Chinese companies and competition of Chinese business with local companies. In 2011, relations between Malawi and the United Kingdom was damaged when a document was released in which the British ambassador to Malawi criticised President Mutharika. Mutharika expelled the ambassador from Malawi, and in July 2011, the UK announced that it was suspending all budgetary aid because of Mutharika's lack of response to criticisms of his government and economic mismanagement. On 26 July 2011, the United States followed suit, freezing a US$350 million grant, citing concerns regarding the government's suppression and intimidation of demonstrators and civic groups, as well as restriction of the press and police violence. Malawi is a member of several international organisations including the peacekeeping training under the African Crisis Response Initiative. As of 2010, international observers noted issues in several human rights areas. Excessive force was seen to be used by police forces, security forces were able to act with impunity, mob violence was occasionally seen, and prison conditions continued to be harsh and sometimes life-threatening. However, the government was seen to make some effort to prosecute security forces who used excessive force. Other legal issues included limits on free speech and freedom of the press, lengthy pretrial detentions, and arbitrary arrests and detentions. Societal issues found included violence against women, human trafficking, and child labour. Corruption within the government is seen as a major issue, despite the Malawi Anti-Corruption Bureau's (ACB) attempts to reduce it. The ACB appears to be successful at finding and prosecuting low level corruption, but higher level officials appear to be able to act with impunity. Corruption within security forces is also an issue. Malawi has one of the highest rates of child marriage in the world. Other issues that have been raised are lack of adequate legal protection of women from sexual abuse and harassment, very high maternal mortality rate, and abuse related to accusations of witchcraft. As of 2010, homosexuality has been illegal in Malawi, and in one recent case, a couple perceived as homosexual faced extensive jail time when convicted. The convicted pair, sentenced to the maximum of 14 years of hard labour each, were pardoned two weeks later following the intervention of United Nations Secretary General Ban Ki-moon. In May 2012, President Joyce Banda pledged to repeal laws criminalising homosexuality. The Great Rift Valley runs through the country from north to south, and to the east of the valley lies Lake Malawi (also called Lake Nyasa), making up over three-quarters of Malawi's eastern boundary. 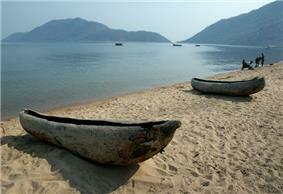 Lake Malawi is sometimes called the Calendar Lake as it is about 365 miles (587 km) long and 52 miles (84 km) wide. The Shire River flows from the south end of the lake and joins the Zambezi River 250 miles (400 km) farther south in Mozambique. The surface of Lake Malawi is located at 1,500 feet (457 m) above sea level, with a maximum depth of 2,300 feet (701 m), which means the lake bottom is over 700 feet (213 m) below sea level at some points. In the mountainous sections of Malawi surrounding the Rift Valley, plateaus rise generally 3,000 to 4,000 feet (914 to 1,219 m) above sea level, although some rise as high as 8,000 feet (2,438 m) in the north. To the south of Lake Malawi lie the Shire Highlands, gently rolling land at approximately 3,000 feet (914 m) above sea level. In this area, the Zomba and Mulanje mountain peaks rise to respective heights of 7,000 and 10,000 feet (2,134 and 3,048 m). 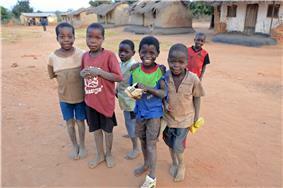 Malawi is among the world's least-developed and most-densely populated countries. Around 85% of the population live in rural areas. The economy is based on agriculture, and more than one-third of GDP and 90% of export revenues come from this. In the past, the economy has been dependent on substantial economic aid from the World Bank, the International Monetary Fund (IMF), and other countries. Malawi was ranked the 119th safest investment destination in the world in the March 2011 Euromoney Country Risk rankings. 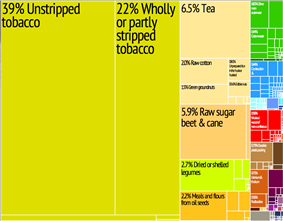 Graphical depiction of Malawi's product exports in 28 color-coded categories. In addition, some setbacks have been experienced, and Malawi has lost some of its ability to pay for imports due to a general shortage of foreign exchange, as investment fell 23% in 2009. There are many investment barriers in Malawi, which the government has failed to address, including high service costs and poor infrastructure for power, water, and telecommunications. As of 2009, it was estimated that Malawi had a GDP (purchasing power parity) of $12.81 billion, with a per capita GDP of $900, and inflation estimated at around 8.5% in 2009. 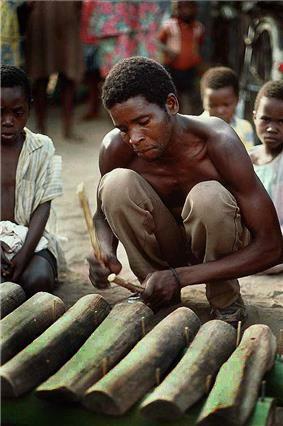 The main agricultural products of Malawi include tobacco, sawmill products, cement and consumer goods. The industrial production growth rate is estimated at 10% (2009). The country makes no significant use of natural gas. As of 2008, Malawi does not import or export any electricity, but does import all its petroleum, with no production in country. Beginning in 2006, the country began mixing unleaded petrol with 10% ethanol, produced in-country at two plants, to reduce dependence on imported fuel. In 2008, Malawi began testing cars that ran solely on ethanol, and initial results are promising, and the country is continuing to increase its use of ethanol. As of 2009, Malawi exports an estimated US$945 million in goods per year. The country's heavy reliance on tobacco places a heavy burden on the economy as world prices decline and the international community increases pressure to limit tobacco production. Malawi's dependence on tobacco is growing, with the product jumping from 53% to 70% of export revenues between 2007 and 2008. The country also relies heavily on tea, sugar and coffee, with these three plus tobacco making up more than 90% of Malawi's export revenue. Because of a rise in costs and a decline in sales prices, Malawi is encouraging farmers away from tobacco towards more profitable crops, including spices such as paprika. India hemp is another possible alternative, but arguments have been made that it will bring more crime to the country through its resemblance to varieties of cannabis used as a recreational drug and the difficulty in distinguishing between the two types. This concern is especially important because the cultivation of Malawian cannabis, known as Malawi Gold, as a drug has increased significantly. Malawi is known for growing "the best and finest" cannabis in the world for recreational drug use, according to a recent World Bank report, and cultivation and sales of the crop may contribute to corruption within the police force. In 2006, in response to disastrously low agricultural harvests, Malawi began a program of fertiliser subsidies that were designed to re-energize the land and boost crop production. It has been reported that this program, championed by the country's president, is radically improving Malawi's agriculture, and causing Malawi to become a net exporter of food to nearby countries. As of 2012, Malawi has 31 airports, 7 with paved runways and 24 with unpaved runways. As of 2008, the country has 797 kilometres (495 mi) of railways, all narrow-gauge, and, as of 2003, 15,451 miles (24,866 km) of roadways, 6,956 kilometres (4,322 mi) paved and 8,495 kilometres (5,279 mi) unpaved. Malawi also has 700 kilometres (430 mi) of waterways on Lake Malawi and along the Shire River. As of 2011, there were 3.952 million cell phones and 173,500 landline telephones in Malawi. There were 716,400 Internet users in 2009, and 1099 Internet hosts as of 2012. As of 2007 there was one government-run radio station and approximately a dozen more owned by private enterprise. The one TV station was government owned. In the past, Malawi's telecommunications system has been named as some of the poorest in Africa, but conditions are improving, with 130,000 land line telephones being connected between 2000 and 2007. Telephones are much more accessible in urban areas, with less than a quarter of land lines being in rural areas. Malawi's population is made up of the Chewa, Nyanja, Tumbuka, Yao, Lomwe, Sena, Tonga, Ngoni, and Ngonde native ethnic groups, as well as populations of Asians and Europeans. Major languages include Chichewa, an official language spoken by over 57% of the population, English, Chinyanja (12.8%), Chiyao (10.1%), and Chitumbuka (9.5%). Other native languages are Malawian Lomwe, spoken by around 250,000 in the southeast of the country; Kokola, spoken by around 200,000 people also in the southeast; Lambya, spoken by around 45,000 in the northwestern tip; Ndali, spoken by around 70,000; Nyakyusa-Ngonde, spoken by around 300,000 in northern Malawi; Malawian Sena, spoken by around 270,000 in southern Malawi; and Tonga, spoken by around 170,000 in the north. 9 to 10-year old boys of the waYao tribe participating in circumcision and initiation rites. Malawi is a majority Christian country, with a significant Muslim minority, although the exact figures are disputed. There is limited data with widely varying estimates on religious affiliation in the country. According to the Malawi Religion Project run by the University of Pennsylvania in 2010, approximately 68% of the population identify as Christians, 25% as Muslim and 5% as "other". Slightly more dated CIA statistics from 1998 indicate that 82% of the population was Christian, with 13% Muslim. 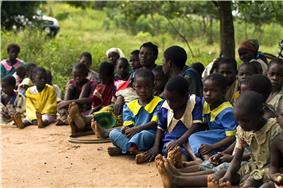 The largest Christian groups in Malawi are the Roman Catholic Church and the Church of Central Africa, Presbyterian. The Church of Central Africa, Presbyterian is the biggest Protestant denomination in Malawi with 1.3 million members. There are smaller Presbyterian denominations like the Reformed Presbyterian Church of Malawi and the Evangelical Presbyterian Church of Malawi. There are also smaller numbers of Anglicans, Baptists, evangelicals and Seventh-day Adventists. Most of the Muslim population is Sunni, of either the Qadriya or Sukkutu groups, with few Ahmadiyya Muslims. Other religious groups within the country include Rastafarians, Hindus, Baha'is (0.2%) and around 300 Jews. Atheists make up around 4% of the population, although this number may include people who practice traditional African religions. Cutter, Charles H. (2006). Africa 2006 (41st ed.). Harpers Ferry, West Virginia: Stryker-Post Publications. Davidson, Basil (1991). Africa in History: Themes and Outlines (Revised and Expanded ed.). New York: Collier Books, MacMillan Publishing Company. Dickovick, J. Tyler (2008). Africa 2008 (43rd ed.). Harpers Ferry, West Virginia: Stryker-Post Publications. Gall, Timothy L. (ed.) (1998). Worldmark Encyclopedia of Cultures and Daily Life. Volume 1 – Africa. Cleveland, Ohio: Eastword Publications Development Inc.
Meredith, Martin (2005). The Fate of Africa – From the Hopes of Freedom to the Heart of Despair: A History of 50 Years of Independence. New York: Public Affairs. Murphy, Philip (editor) (2005). Central Africa: Closer Association 1945–1958. London, UK: The Stationery Office. Reader, John (1999). Africa: A Biography of the Continent (First Vintage Books ed.). New York: Vintage Books. Turner, Barry (ed.) (2008). The Statesman's Yearbook 2009: The Politics, Cultures and Economies of the World. Macmillan Publishers. ^ a b Berry, Bruce (6 February 2005). "Malawi". Flags of the World Website. Flags of the World. Retrieved 22 September 2010. ^ a b c "Country profile: Malawi". BBC News Online (BBC). 13 March 2008. Retrieved 17 August 2008. ^ a b c Benson, Todd. "Chapter 1: An Introduction" (PDF). Malawi: An Atlas of Social Statistics. National Statistical Office, Government of Malawi. p. 2. Retrieved 24 August 2008. ^ "Malawi, The Warm Heart of Africa". Network of Organizations for Vulnerable & Orphan Children. Retrieved 26 January 2011. ^ "Malawi Slave Routes and Dr. David Livingstone Trail". UNESCO World Heritage Centre. ^ Jomo, Frank and Latham, Brian (22 July 2011). "U.S. Condemns Crackdown on Protests in Malawi That Left 18 Dead". Bloomberg. Retrieved 6 April 2012. ^ "Jurisdiction". Malawi Judiciary. Retrieved 12 August 2013. ^ a b c d e f g h i j k l "Malawi". The World Factbook. CIA. Retrieved 6 February 2010. ^ "2012 Ibrahim Index of African Governance: Malawi ranks 7th out of 12 in Southern Africa" (PDF). Mo Ibrahim Foundation. 15 October 2012. Retrieved 12 August 2013. ^ "Malawi commences registration for 2014 tripartite elections". Nyasa Times. 21 July 2013. Retrieved 12 August 2013. ^ Tenthani, Rafael (18 May 2010). "Gay couple convicted in Malawi faces 14-year term". Aegis. Associated Press. Retrieved 22 September 2010. ^ David Smith and Godfrey Mapondera (18 May 2012). "Malawi president vows to legalise homosexuality". The Guardian. Retrieved 18 May 2012. ^ Douglas, John (Summer 1998). "Malawi: The Lake of Stars". Travel Africa (4). Retrieved 22 August 2008. 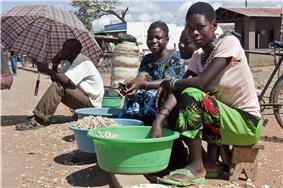 ^ "Malawi: Fuel shortage deepens". Africa News. 11 November 2009. ^ "Forex shortage crimps Malawi ministers’ foreign trips". Nyasa Times. 19 November 2009. ^ a b c "Malawi releases the 2008 MDGs Report". United Nations Development Programme Malawi. 23 December 2008. Retrieved 3 January 2009. ^ "Why Population Matters to Malawi's Development: Managing Population Growth for Sustainable Development Department of Population and Development.". Department of Population and Development. Ministry of Economic Planning and Development. Government of Malawi. 2012. Retrieved 8 October 2014. ^ "Marijuana Cultivation Increases in Malawi". New York Times. 17 December 1998. Retrieved 21 December 2011. ^ Mpaka, Charles (11 December 2011). "Malawi's Chamba valued at K1. 4 billion". Sunday Times. Blantyre Newspapers, Ltd. Retrieved 21 December 2011. ^ Dugger, Celia W. (2 December 2007). "Ending Famine, Simply by Ignoring the Experts". ^ "Malawi". NICI in Africa. Economic Commission for Africa. Retrieved 6 November 2008. ^ "Languages of Malawi". Ethnologue. SIL International. Retrieved 21 November 2008. ^ "The Malawi Religion Project (MRP) | Malawi Longitudinal Study of Families and Health (MLSFH)". Malawi.pop.upenn.edu. Retrieved 31 December 2013. ^ "The World Factbook". Cia.gov. Retrieved 31 December 2013. ^ Richard Carver. Where Silence Rules: The Suppression of Dissent in Malawi. p. 59. Retrieved June 7, 2014. ^ McCabe, Ariane (December 2009). "Private Sector Pharmaceutical Supply and Distribution Chains: Ghana, Mali and Malawi". Health Systems Outcome Publication. World Bank. Retrieved 2 April 2012. ^ Luscombe, Belinda (6 August 2006). "Madonna Finds a Cause". ^ Hutton, Punch (July 2007). "Raising Malawi". ^ "Malawi". Bureau of International Labor Affairs, US Dept. of Labor. Retrieved 6 October 2008. ^ Furlong, Andy (2013). Youth Studies: An Introduction. USA: Routledge. p. 233. ^ 2010 Final%20online%2 version.pdf "The world youth report: youth and climate change". United Nations. Retrieved 17 January 2012. ^ "HISRC Malawi". Health Information Systems Research Centre. Retrieved 11 July 2013. ^ "DPP govt blew K3bn on flag change". Nyasa Times. 30 May 2012. Retrieved 10 April 2013. Malawian cuisine is diverse, with tea and fish being popular features of the country's cuisine. Sugar, coffee, corn, potatoes, sorghum, cattle and goats are also important components of the cuisine and economy. Lake Malawi is a source of fish including chambo (similar to bream) usipa (similar to sardine), mpasa (similar to salmon and kampango). Nsima is a food staple made from ground corn and served with side dishes of meat and vegetable. It can be eaten for breakfast, lunch and dinner. Its dances are a strong part of Malawi's culture, and the National Dance Troupe (formerly the Kwacha Cultural Troupe) was formed in November 1987 by the government. 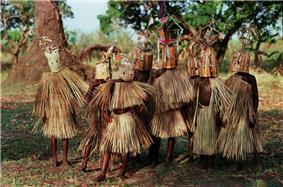 Traditional music and dances can be seen at initiation rites, rituals, marriage ceremonies and celebrations. Soccer is the most common sport in Malawi, introduced there during British colonial rule. Basketball is also growing in popularity. The name "Malawi" comes from the Maravi, a Bantu people who emigrated from the southern Congo around 1400 AD. Upon reaching northern Lake Malawi, the group divided, with one group moving south down the west bank of the lake to become the group known as the Chewa, while the other group, the ancestors of today's Nyanja, moved along the east side of the lake to the southern section of Malawi. Ethnic conflict and continuing migration prevented the formation of a society that was uniquely and cohesively Malawian until the dawn of the 20th century. Over the past century, ethnic distinctions have diminished to the point where there is no significant inter-ethnic friction, although regional divisions still occur. The concept of a Malawian nationality has begun to form around a predominantly rural people who are generally conservative and traditionally nonviolent. In 2014, the Health Information Systems Research Centre (HISRC) in University College Cork, Ireland in partnership with Mzuzu University will establish Malawi's first fully dedicated Health Information Systems Research and Education Centre. This new research centre will contribute to improve health and social outcomes for communities in Malawi, by enhancing the quality of research and education in Information Systems and healthcare. There are four public universities in Malawi namely;Mzuzu, Lilongwe University of Agriculture and natural Resources, Malawi University and Malawi University of Science and Technology.Besides these, there are also private universities like; Livingstonia, Malawi Lakeview, Catholic University of Malawi,MIM etc. The entry requirements is six credits on the Malawi school Certificate of Education certificate which is equivalent to O levels. Education in Malawi comprises eight years of primary education, four years of secondary school and four years of university. In Malawi, primary education is not compulsory, but the Constitution requires that all people be entitled to at least five years of primary education. In 1994, free primary education for all children was established by the government, which increased attendance rates. Dropout rates are higher for girls than boys, attributed to security problems during the long travel to school, as girls face a higher prevalence of gender-based violence. However, attendance rates for all children are improving, with enrollment rates for primary schools increased from 58% in 1992 to 75% in 2007, while the number of students who begin in standard one and complete standard five has increased from 64% in 1992 to 86% in 2006. However attendance in secondary school falls to approximately 25%, with attendance rates being slightly higher for males. Youth literacy has also increased, moving from 68% in 2000 to 82% in 2007. This increase is primarily attributed to improved learning materials in schools, better infrastructure and feeding programs that have been implemented throughout the school system. There is a very high degree of risk for major infectious diseases, including bacterial and protozoal diarrhoea, hepatitis A, typhoid fever, malaria, plague, schistosomiasis, and rabies. Malawi has been making progress on decreasing child mortality and reducing the incidences of HIV/AIDS, malaria and other diseases; however, the country has been "[performing] dismally" on reducing maternal mortality and promoting gender equality. 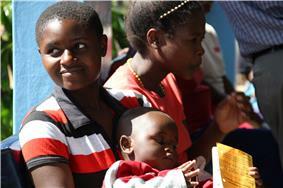 Female genital mutilation (FGM), while not widespread, is parcticed in some local communities. Infant mortality rates are high, and life expectancy at birth is 50.03 years. There is a high adult prevalence rate of HIV/AIDS, with an estimated 930,000 adults (or 11.9% of the population) living with the disease in 2007. There are approximately 68,000 deaths a year from HIV/AIDS (2007). Approximately 250 new people are infected each day, and at least 70% of Malawi's hospital beds are occupied by HIV/AIDS patients. The high rate of infection has resulted in an estimated 5.8% of the farm labor force dying of the disease. The government spends over $120,000 each year on funerals for civil servants who die of the disease. In 2006, international superstar Madonna started Raising Malawi, a foundation that helps AIDS orphans in Malawi, and also financed a documentary about the hardships experienced by Malawian orphans, called I Am Because We Are. Raising Malawi also works with the Millennium Villages Project to improve education, health care, infrastructure and agriculture in Malawi.